I purchased this cookie jar in green last week from Tuesday Morning and I just had to share it's cuteness! 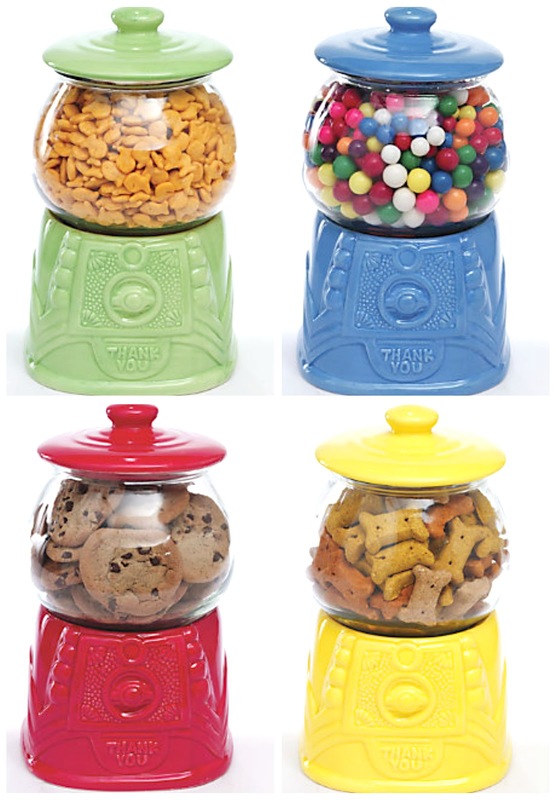 I love gumball machines and can picture so many fun uses for these jar. Currently we're using it for dogs treats (JD's idea), but I might just need to get one more for actual cookies! If you can't find one at your local Tuesday Morning, you can purchase them at Ginny's online for a few dollars more! That is very cute! It would make a cute fish tank. Hmm. I do like the idea of dog treats though and my dogs would probably agree.